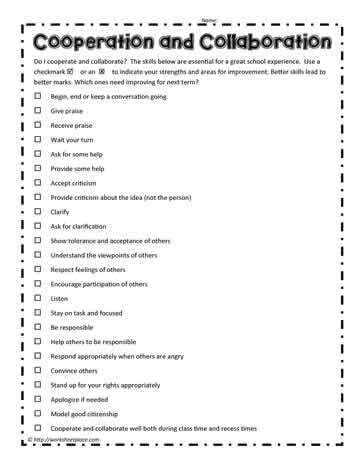 Cooperation and collaboration checklist. How well does your student collaborate or cooperate? Begin, end or keep a conversation going.